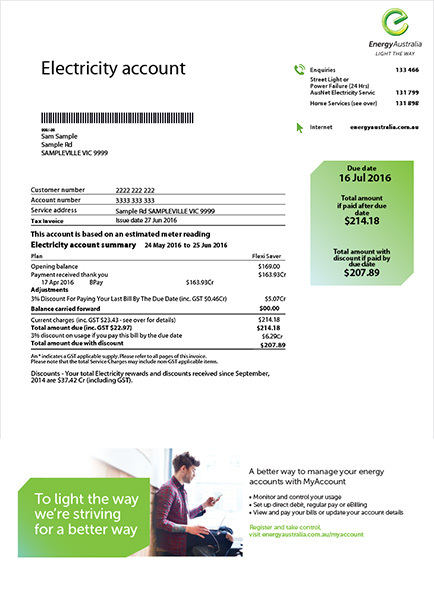 Econnex – How Do I Read My Electricity Bill? Your electricity bills are far from straightforward; there’s a lot of jargon to get a handle on. 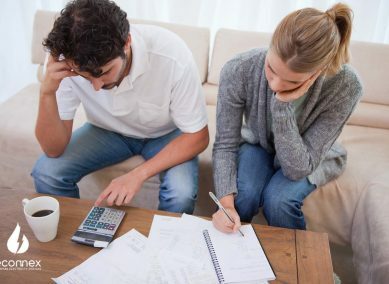 Here’s a basic guide to read your electric bill to know exactly what’s going on. Most retailers have a detailed explanation of their bills and what all the charges mean. Below this post are a series of links that will help you better understand your bill. Usage charges are listed by type: peak, off-peak, or shouldered. Your bill may also show credits. You may have credits if you are party to a solar feed-in scheme, are eligible for senior discounts, or have overpaid a previous bill. This section tells you how you can pay your bill. You can usually pay via Direct Debit, BPAY, Credit Card (may incur a fee) or by mail. Some retailers may include a link in an online bill, giving you access to payment via PayPal.This section may have a graph comparing your consumption to the last meter period or even last year. Do you want to pay lower rates on electricity bills? Click here to compare. Below you can find some direct links to 2 of the biggest energy retails and their guides on how to read their bills. Click on their logos to be taken directly to their sites. 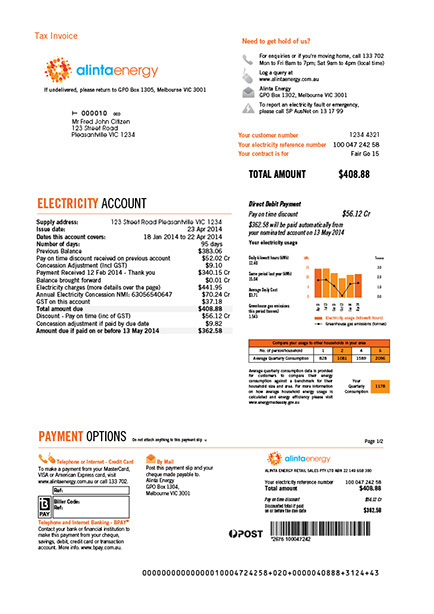 Previous Post Econnex – Electricity and Gas Comparison – How Do I Read My Gas Bill? Next Post How to switch energy providers? Trouble paying your energy bill? Econnex – Electricity and Gas Comparison – How Do I Read My Gas Bill?